When you get right down to it, the political targeting and stalling of tax-exempt applications by the IRS was an effort to defund the Tea Party. Rick Santelli, one of the Tea Party founders and my CNBC colleague, was the first to make this point. I’ve taken it a step further: The IRS was taking the Tea Party out of play for the 2012 election, as it looked to avoid a repeat of 2010 and another Tea Party landslide. There are a lot of numbers out there. Some say Tea Party applications for tax-exempt status averaged 27 months for approval, while applications from liberal groups averaged nine. In one extreme case, according to the Washington Post, the IRS granted the Barack H. Obama Foundation tax-exempt status in a speedy one-month timeframe. Yet some conservative groups waited up to three years, and some still haven’t received approval. But there can be only one reason for the stalled-out approval process for conservative groups. The IRS was trying to put them out of business. Thus far, there’s not one wit of contradictory evidence. Think of this: If the IRS wasn’t politically targeting conservative groups, why did its leading spokespeople lie? This was not even cognitive dissonance. It was outright lying before Congress. Lois Lerner, a key player in the IRS’s tax-exempt division, is being accused by the House Oversight and Government Reform Committee of no fewer than four lies. The inspector general’s report shows that she knew about the targeting problem in June 2011, but wouldn’t admit to it in correspondence with Congress over the next two years. Then there’s former IRS commissioner Douglas Shulman, a Bush appointee. He apparently knew about the targeting in May 2012, but told Congress in August 2012 that he didn’t. Or there’s former IRS acting director Steve Miller, who was just pushed out. He also knew about the targeting in May 2012, but later refused to admit it to Congress during testimony. In fact, the whole bloody agency may have known about it on August 4, 2011. According to the Treasury Department IG report, various IRS big wigs met that day to talk about the conservative-targeting problem. That meeting may have included the IRS’s chief counsel; while the IG report says he was at the meeting, the IRS has denied that he was. But if one of his minions was at the meeting, the chief counsel would have known about the problem. No one knows the exact facts, which presumably will come out in the hearings. But this is important stuff. It isconspiracy stuff. Criminal stuff. We already know that IRS employees gave heavily to Obama in 2008 and 2012, and very little to candidates McCain and Romney. But who was the quarterback in all this? 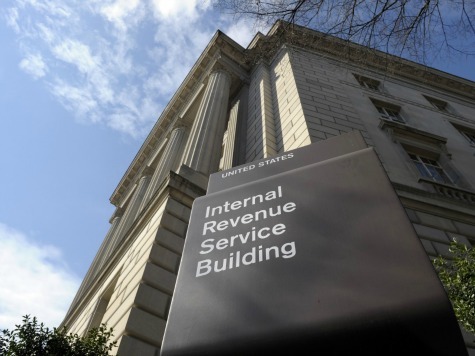 Who was managing the targeting operation in the bowels of the IRS? It could have been Sarah Hall Ingram. She served as commissioner of the IRS’s tax-exempt division between 2009 and 2012. And she got a $100,000 bonus for her efforts. And now — incredibly — she’s running the IRS’s Affordable Care Act (Obamacare) office, leaving her successor Joseph Grant to take the fall. But he just turned tail and resigned. And now get this: President Obama has named OMB controller Daniel Werfel acting director of the IRS. And he’s only going to serve between May 22 and the end of the fiscal year, which is September 30. Are you kidding? In four months, we’re to believe Mr. Werfel is going to piece together the lies, finger the quarterback, and replace everybody who was involved, not just in the now-infamous Cincinnati office, but in offices in Washington, D.C., two towns in California, and even Austin, Texas. (That’s the latest count.) And this guy Werfel is also supposed to manage the agency which is adding Obamacare to its income-tax-collection responsibilities. In four months. An independent special counsel with subpoena power is the only possible solution. This counsel must find out exactly what happened and who was involved, and then come up with a fix so it never happens again. Of course, Obama charged Treasury secretary Jack Lew with straightening this out. But Lew’s an Obama political operative. By the way, a special counsel will have to do a special investigation, since we’re already learning the inspector-general investigation was a very superficial operation. And an independent special counsel can investigate any possible White House connections with senior Treasury officials, connections that could lead to the Oval Office. We may hate the IRS because of its taxing power. We may hate it more because of its new Obamacare power. But it is a massively important government agency. And now we know that it is fraught with corruption and a liberal-left political agenda. Only an independent special counsel could possibly straighten this mess out.